Roses and Dragons started up in 2013 by two sisters and best friends, Janette and Louise. 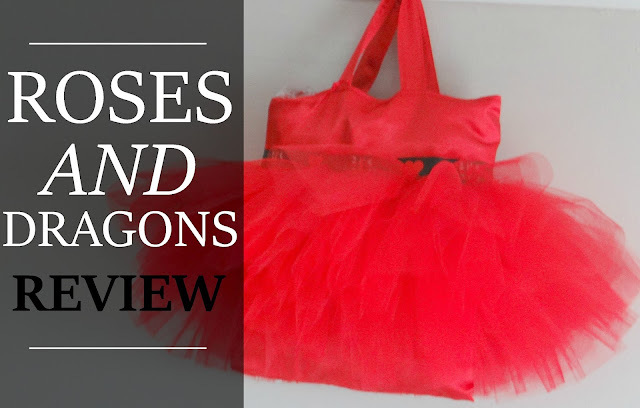 Roses and Dragons offers different themes of party bags. But these party bags aren't your ordinary traditional party bags. The bags stand out and like it says on the website you can make the bags the party or use them to accessorise it. I decided to choose the One Direction party bag - please note that this bag includes accessories that have 5 members not 4 members. I was told that before ordering but I still wanted to the 1D one as my eldest daughter, Mia loves One Direction. 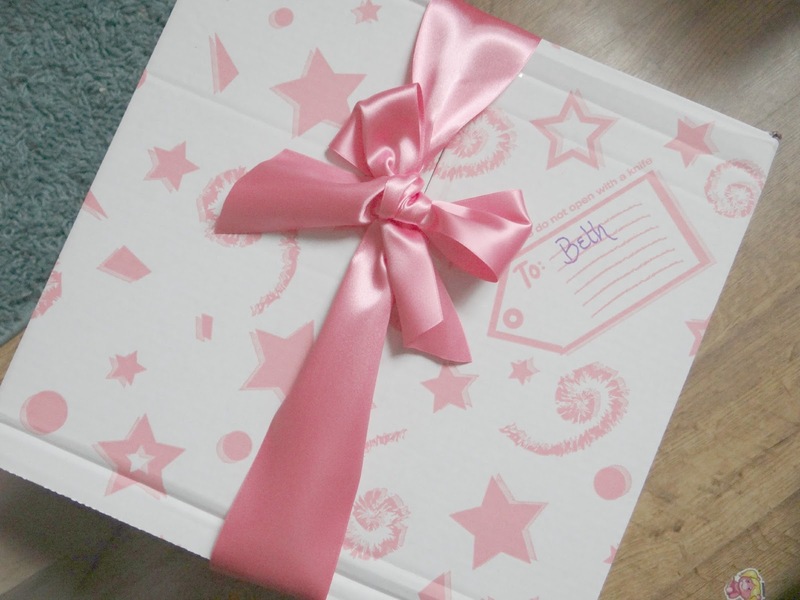 When I received the party bag it was it was delivered in a big pink cardboard box and presented nicely on the inside too with nice tissue paper and a card. When I took the bag out I instantly fell in love. The big puffy tu-tu was just amazing. There is a 1D design ribbon around the middle and the bag is brilliant quality. I couldn't wait to see what was inside. As I am going to give this to Mia for her birthday I decided to just look through it myself first and let you all know about it and then I will update you with another post after her birthday. I was overly pleased with the items inside and I know Mia will love them. 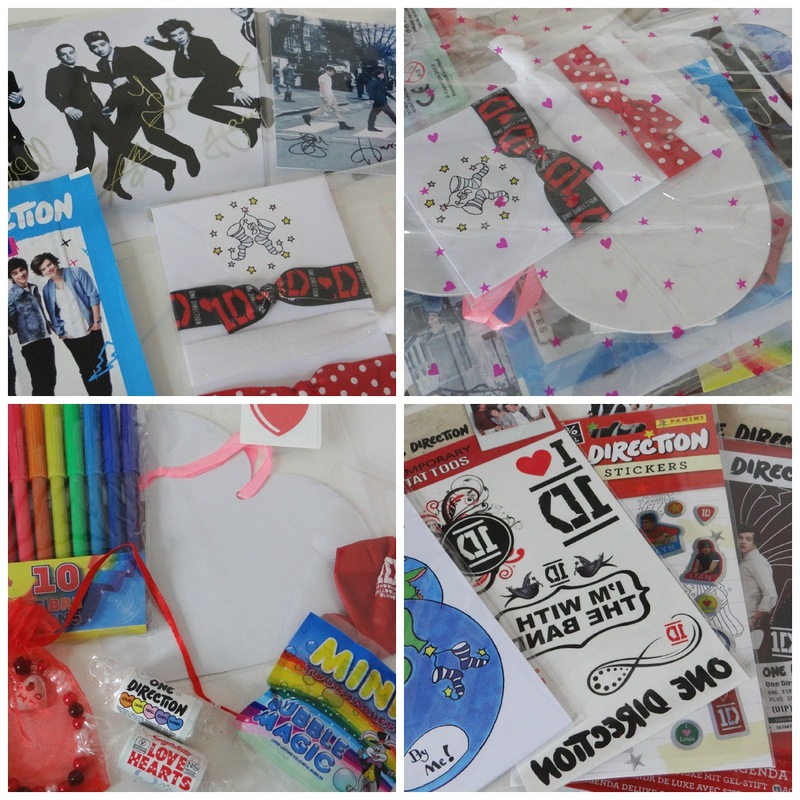 The pack inside included: Notepad and pen, tattoos, postcard, picture of 1D, felt tips, book and much more. These are just a few of my favourite party and sleepover bags that Roses and Dragons make. 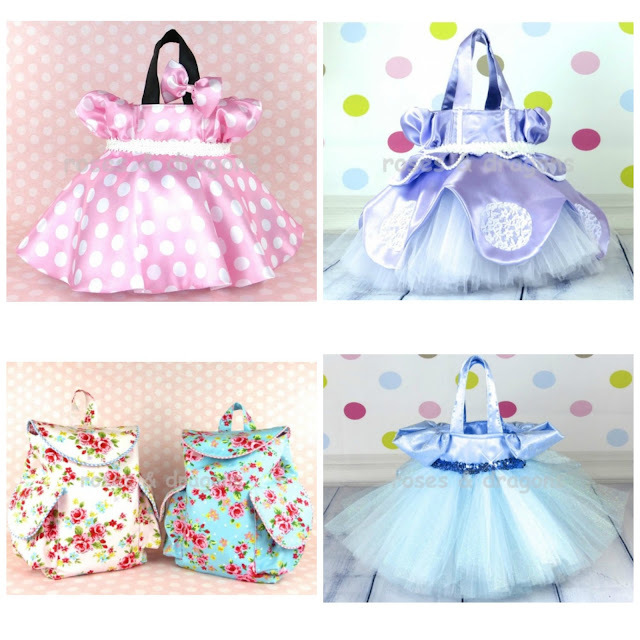 Each and every single one of their bags are handmade to perfection and filled with fantastic products that your children will sure love. Overall, I am overly pleased with the 1D bag I received and I can not wait to give it to Mia in December. Remember to pop back during December and see what Mia thought about it after her Birthday.